Oxford Treatment Center has transformed the daily schedule at its residential campus, giving patients more ability than ever to design their own individually tailored treatment experience. Under the new schedule, patients have the opportunity to choose from a broad range of experiential and topic-oriented group sessions. While some groups are defined by identity, such as for professionals or first responders, others are designed for working through issues that go hand-in-hand with drug or alcohol abuse, like past trauma or troubled relationships. Still others are substance-specific, as for opioid or alcohol abuse. Treatment is not something that’s done to you. It’s something that’s done with you. Clinical Director Jerri Avery, PhD, said patients can now effectively design their own weekly schedule, like college students picking classes for the semester or professionals choosing sessions at a conference. The ultimate goal, she said, is boosting the patient’s engagement in treatment. At the same time, she said, the approach respects the patient’s own central role in achieving recovery from drug or alcohol addiction. “Treatment is not something that’s done to you. 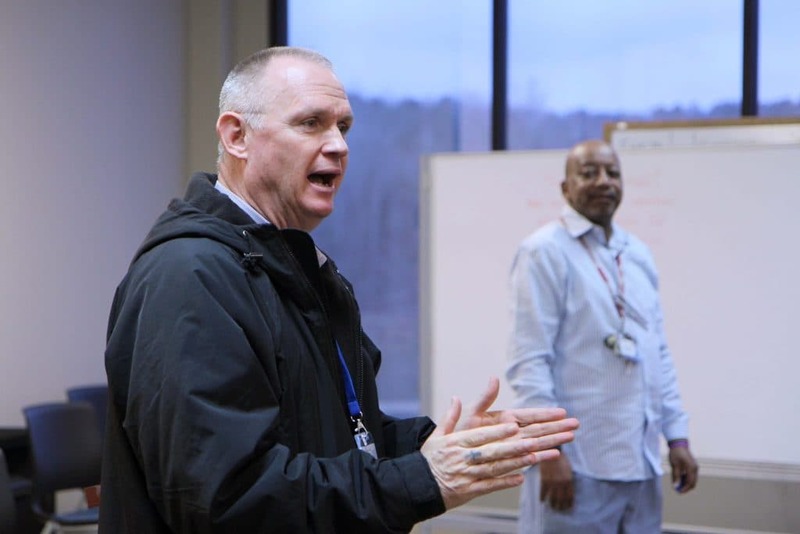 It’s something that’s done with you,” said Avery, a former director of the Mississippi State Department of Health Bureau of Alcohol and Drug Services who joined Oxford Treatment Center in 2018. Avery said that a patient-centered approach to treatment is about meeting people where they are. 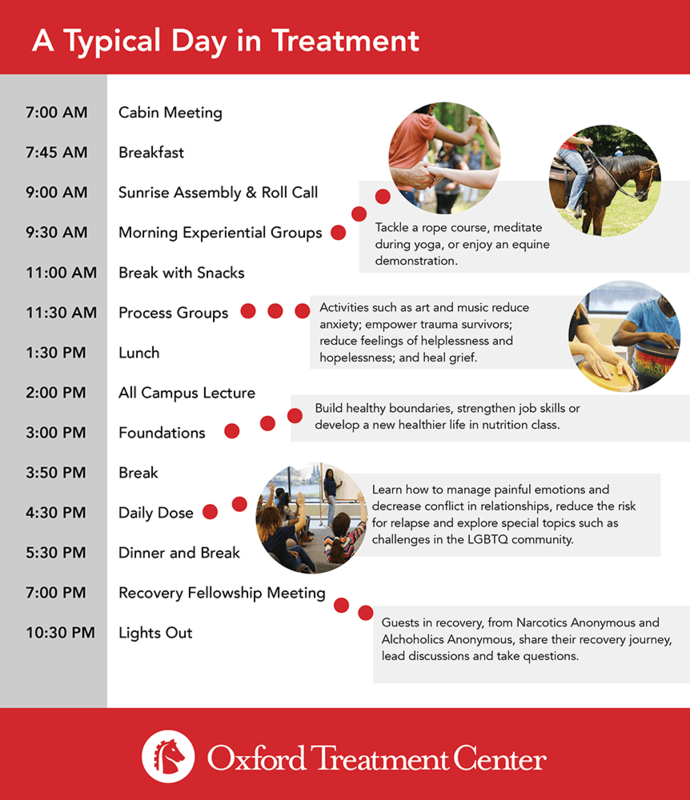 For patients at Oxford Treatment Center, the day begins with a peer-led meeting and morning reflection within each residential cabin. After breakfast, the entire campus gathers for a 9 a.m. Sunrise Assembly in the main lodge overlooking the lake. “It sets a positive tone for the day,” said Direct Care Coordinator Barry Doughty, ICADC-I, SAP. He leads the assembly alongside Young Adult Program Coordinator Reggie Watkins, MLAP, ADC, ICADC. The center’s therapists all attend, too, and introduce themselves for new patients who have arrived. The assembly is also a chance for each patient to finalize his or her own plan for the day. For Ashley*, 34, her choices have included a specialty track for alcohol-use disorders and an intensive track on embracing change. She also takes advantage of an on-campus Alcoholics Anonymous meeting in the evenings. Avery, the clinical director, said that most patients have a good understanding of their own needs as they enter residential treatment. Under this program, we offer enough options that any patient who comes to us will find something that fit their needs. If they come to us saying, ‘I need to work on PTSD,’ we have an evidence-based model in place to respond to that need. For many people, their initial needs include not believing they have a problem — and not wanting to be in treatment in the first place. There’s a group for that, too. “Meeting them where they are means starting with engaging them in that conversation,” Avery said. Michael*, 41, had to come to treatment for meth and opioid addiction due to legal problems and his family’s urging. Oxford Treatment Center’s residential campus stretches across 110 acres of wooded, rolling hills; its natural setting provides the ideal environment in which to begin recovery. 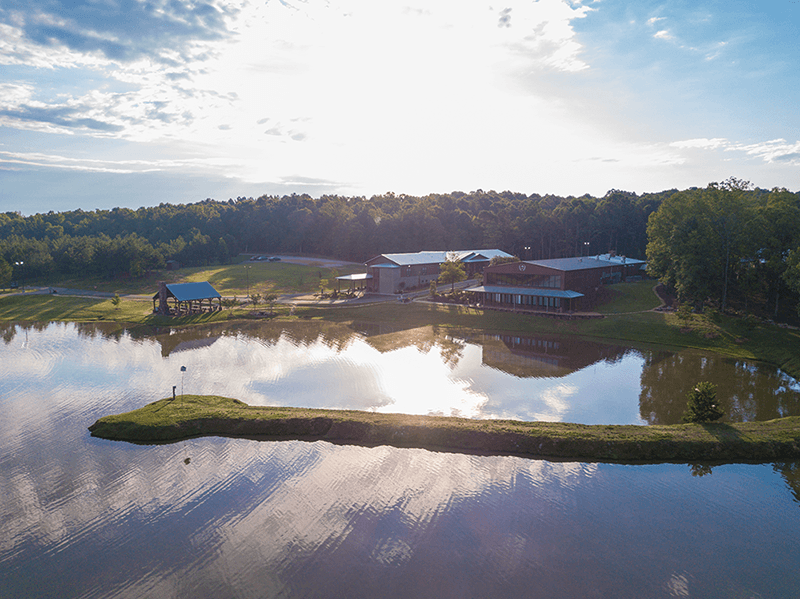 Situated around the central, private lake is the main lodge, medical services facilities, patient cabins, fitness center, equestrian center and outdoor pavilions. The sense of community extends to Oxford Treatment Center’s staff, Michael said, which includes many in long-term recovery. Michael credits peer-to-peer learning with playing a significant part in his treatment experience, including a specialty track for professionals. “I’m a business owner and employer, so it’s helpful to get a perspective on how to balance those responsibilities with my recovery as I get back into the professional world,” he said. Clinical Therapist Johnny McMillan, M.Ed., who leads the group for professionals, said he uses input from the group members to plan content for each week. McMillan said ultimately the program empowers patients to take more responsibility for the new life they’re building.